Perfect as a lightweight layer on or off the course. 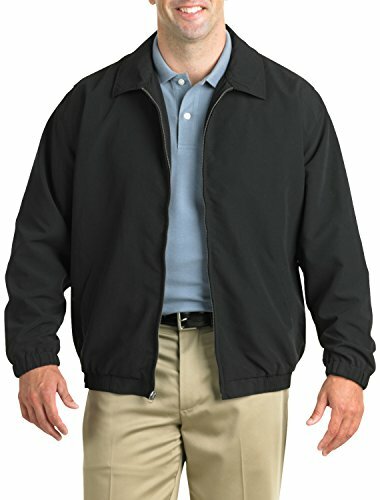 Made of wrinkle-resistant polyester microfiber, featuring a stand collar, side pockets and an elasticized hem. Machine wash. Imported. If you have any questions about this product by Harbor Bay, contact us by completing and submitting the form below. If you are looking for a specif part number, please include it with your message.